WINDOW ROCK, Arizona – Delegates of the Navajo Nation Council voted late Monday night to approve a replacement lease that will keep Navajo Generating Station running for two-and-a-half more years but that also includes a number of amendments weakening the Navajo Nation's control when the plant is retired. "There's no other way to put it: with this agreement, the Navajo Nation had their hands tied behind their back. We are being saddled with hundreds of millions of dollars of liability," said Adella Begaye of the Navajo community group Diné CARE. "The deal was rammed through by holding the Navajo tribal council hostage through an 11th-hour ultimatum from the very same people that were given permission to exploit and plunder our natural resources." The tribal delegates, who approved the new lease on an 18-4 vote, gave up their right to settle any legal differences in Navajo courts over the shutdown of the largest coal plant in the West, and they ceded their right to oversee decommissioning and cleanup, which will begin when the plant closes at the end of 2019. In February, SRP and the other owners of the plant decided that the most financially prudent course was to shut the plant because they were losing $100 million a year or more running the plant in the face of an energy market that provides far more affordable alternatives. "The rest of the world is moving emphatically toward a clean energy economy. 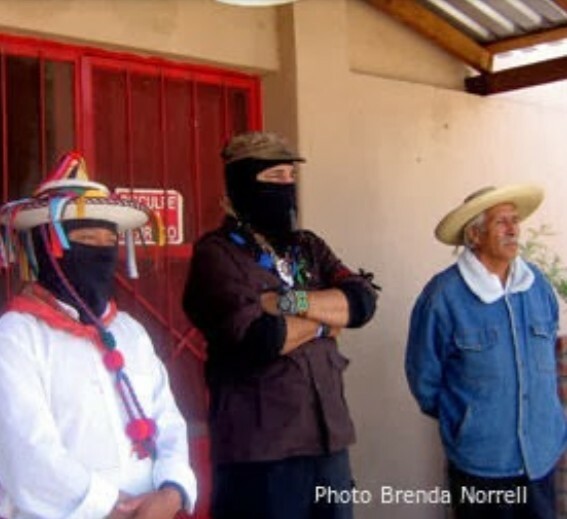 The utilities are running away from NGS and coal as fast as they can because coal can no longer compete economically against cleaner sources of energy," said Nadine Narindrankura of Tó Nizhóní Ání, another Navajo community group. "It's ludicrous for our leaders to cling to coal. Tying our people to a sinking ship will only bankrupt us and put off the inevitable for two short years." Diné CARE and Tó Nizhóní Ání have both been deeply involved in issues around coal-fired power and coal mining on the Navajo reservation for years. They contend that underneath the utilities' promise of keeping coal on life support, there was an underhanded scheme to help the owners of NGS walk away from their financial and ethical responsibilities, even though for decades they have enriched themselves by exploiting Navajo natural resources, polluting tribal land, and poisoning the air Navajo families breathe. "We will never forget the generations of Navajo families lost during forced relocation. 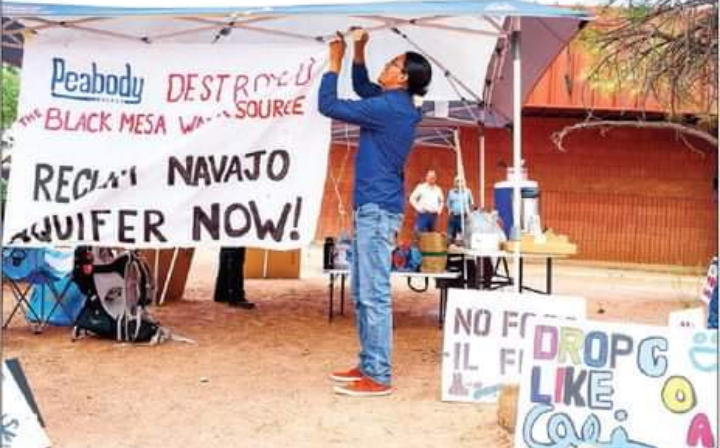 It is on the backs of Navajo and Hopi that Arizona lives in comfort while our people still don't have running water and electricity," said Robyn Jackson of Diné CARE. "Navajo leadership now have two and a half years to create a robust transition plan and can waste no time squandering on short sighted efforts to keep the plant running beyond 2019 or foolishly purchasing the Kayenta Mine." Water is one of the most important issues to the Navajo and the groups are concerned with the 50,000 acre-feet of Upper Colorado River Basin water that rightfully needs to be returned to the Navajo Nation. Despite disappointment over other areas of the lease agreement, both Diné CARE and Tó Nizhóní Ání are relieved that language from the original 1969 NGS lease that was relevant to water rights was included as an amendment, as they suggested to delegates during legislative hearings on the lease. The amended language on water is not a binding agreement but it will build a solid foundation for the Navajo to regain full rights to that water. The Navajo Nation has vast potential for developing solar and wind power, and both Diné CARE and TNA see no future in coal. Rather, they are urging tribal leaders to work toward an economy that allows the Navajo Nation to provide for its people for generations to come, not just for a couple of years. "From here, the nation as a whole needs to make a commitment to transitioning our economy, energy production and leadership," said Jessica Keetso of TNA. "With the 2018 elections coming up, we need to elect leaders who know what climate change means and the importance of developing sustainable businesses and infrastructure. The Navajo Nation needs to put solar and wind energy on or near the NGS site, so that we can utilize the transmission lines and receive revenue back to our Nation. "It's the only thing that makes sense and it will be one of the only good things to come from this senseless replacement lease."